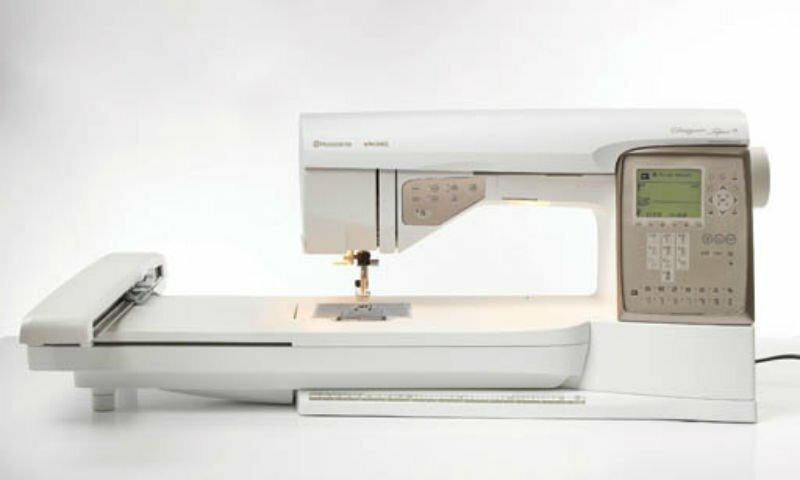 The stunning DESIGNER TOPAZ 20™ sewing and embroidery machine offer a wonderful airy design that unleashes your creativity, allowing you to create great projects and embroideries. The ability to uncover a whole new world of embroidery designs will unleash your imagination. Fabulous space and creative freedom, in combination with built-in assistance features that are exclusive to the HUSQVARNA VIKING® make this machine truly irresistible! The generous sewing space gives you more room for larger projects. The extra larg e embroidery area allows you to stitch spectacular designs with just one hooping. Hundreds of breathtaking stitches inspires endless creativity. The exclusive SEWING ADVISOR ® feature optimizes your sewing. The USB Embroidery Stick conveniently transfers designs between your computer and your DESIGNER TOPAZ™sewing and embroidery machine. Change any True Type font on your computer into an embroidery font with the HUSQVARNA VIKING®4D™ QUICK FONT embroidery software. The HUSQVARNA VIKING®4D™ ORGANIZER software helps organize all your design files for easy access.